And I am back! Bring on the predictions. I haven’t had too much time to do these predictions but with a massive release like Thor The Dark World I had to say what I think it will make. Glad Gravity did great as I haven’t been doing the predictions, but has done far better than I expected. Go watch some movies! Can’t forget about are returning films as well. Ender’s Game “won” the weekend last time and whilst a win is good it’s pretty low for its budget and I don’t really see it creating another number near the last weekend, look for $12M next weekend. Bad Grandpa will not be dropping very far as it has been dropping way below 40% each week so look for $14M this weekend. Gravity is the only other one I have been tracking so I say it will hold onto top six with $9M. This will be a fascinating film to watch as far as the box office is concerned because it is the first non-Iron Man film to follow the Avengers. 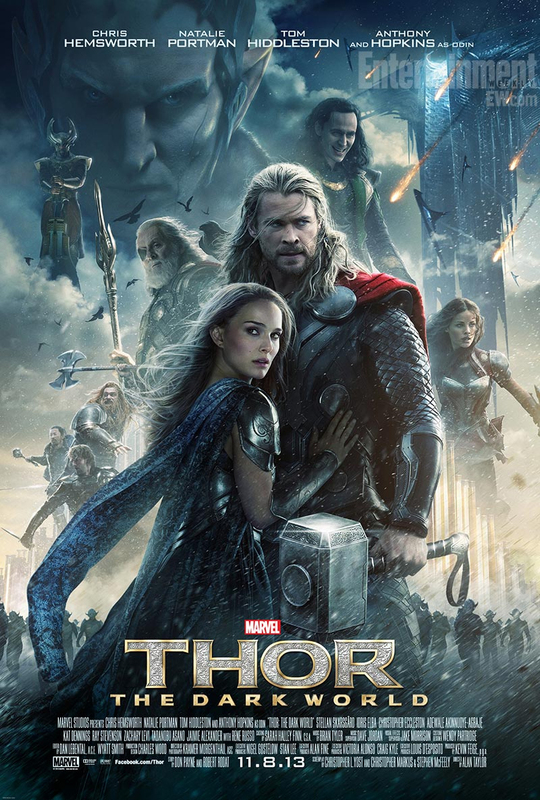 The first Thor film did pretty good numbers $65M but didn’t hold out very well over its run. This film will clearly get a great jump from following the Avengers film but don’t be looking for Iron Man 3 numbers. The film has done great numbers overseas and will most likely make a large bulk of its money there, but domestic numbers will be around $92M this weekend. I’m thinking Thor will break $100 million this weekend. Went and saw it at an early showing last night and the theatre was 3/4 full and when I got out, there was a line to the entrance waiting for the midnight showing…an hour before the film started. Am sure it will be very successful but breaking $100M isn’t looking likely. I wrote my review on the film yesterday, but I loved it. Best movie I’ve seen so far this year. At least the sequel will make around $20 million more on opening weekend. That’s what you want from a sequel. Wow, big number for Thor! Wouldn’t surprise me if it flirts with 100 Mill. and I think Ender’s Game might take a little bigger dive than that. Wouldn’t surprise me either if Gravity stays above Last Vegas and Free Birds… we shall see! Me either! It’s not at even at my local theater anymore! You and I can start a support group. Lol. Solid numbers! Thor might make that much – or it might come in just a little under it – but it will get a boost.